This should be in line with the target market for the hotel. You want your Social Media posts to target a specific audience with a single voice. If you are having trouble determining your target audience, think about the unique selling points your hotel has to offer and determine which type of audience would benefit most from these features. 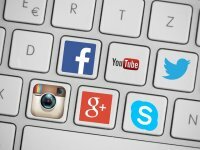 There are tons of social media sites out there, but just because they exist does not mean they are necessarily right for your hotel. In addition, if your hotel is present on more channels than you can handle, you won’t be able to keep up, and in turn will not be able to reap any benefits. When determining the social channels to participate in, keep in mind the channels that your target audience is on and also the power that certain channels have. For example, Google+ is the social media channel created by Google, and can provide a higher SEO benefit than other social channels, so it is definitely one that you would want to participate on. Who will be posting and when? In order for your posts to remain consistent and in line with the target audience, determine who will be posting ahead of time. The person (or people) in charge of social media should also make time to do active research about the latest digital marketing trends and any updates your Social Media channels may have. After you determine who will be posting, a content calendar should be created so there is no confusion about what will be posted and when. Creating high quality content that will encourage your audience to engage with your page is extremely important. Do some research on your target audience and on the types of posts they are interested in. Develop your content with this information in mind. It also helps to research the types of posts (in general) that receive the most engagement on the different social networks. For example, posts with photos are more likely to receive interaction. Combine this with topics that your audience will find interesting and you have a winning combination. Social Media is not one-sided. This means you can’t just post on your channels then disappear. Not only does Social Media provide great SEO and SSO benefits, but it is also a great way to engage with current and potential guests. Feel free to comment and like users posts and interact with other local businesses. The more social you are, the more users will be social with you! Believe it or not, Social Media is rolled right in with customer service. You will find that guests will use your hotel’s Social Media channels as a way of reaching out, asking questions, and even making reservations. When guests reach out, they are expecting a timely response. Be sure to check regulary for any comments, messages, or mentions and provide a response as quickly as possible. Plan on setting time aside each day to check for any new messages. TripAdvisor and Yelp are no longer the only sites where potential guests can read reviews about your property. Channels such as Facebook and Google+ have incorporated reviews into their pages, and the Google+ reviews are even the first reviews that can be seen on a Google search. Be sure to monitor and respond to these reviews just as you would with any other review site. Once you have your Social Media strategy in place, you can start working on coming up with post ideas. Good luck!